Air101: Allegiant's first US produced A320 joins the fleet. Allegiant's first US produced A320 joins the fleet. 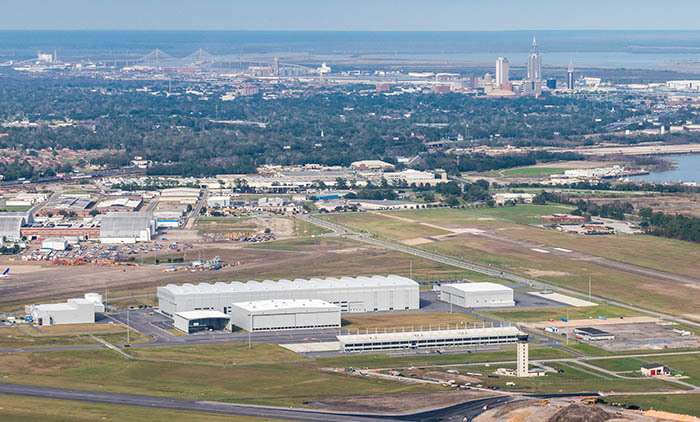 That ultra-low-cost airline in the US, Allegiant welcomed its first U.S.-produced A320 aircraft from the Airbus U.S. Manufacturing Facility in Mobile, Alabama this week. A team of Allegiant employees and executives from the company's headquarters in Las Vegas joined Airbus' leadership team at the production facility for a special ceremony to officially mark the delivery. The Airbus A320 is the 11th of 13 new A320 aircraft scheduled for purchase directly from Airbus, to be inducted into Allegiant's fleet this year. Previously inducted aircraft have been assembled in Airbus facilities in Toulouse, France and Hamburg, Germany. This delivery marks another step in Allegiant's planned transition to a single fleet type by the end of 2018. Allegiant currently has a total of 99 Airbus aircraft either in service or committed for future delivery. "It's exciting to see the progress we've made in our transition to an all-Airbus fleet, and gratifying to be able to celebrate this special milestone with team members whose hard work and dedication have made it possible," said Maury Gallagher, Allegiant president and CEO. "Operating a single fleet type will increase efficiency in teams across the company – including training, scheduling, and maintenance – while bringing economic benefits like greater fuel efficiency and additional seat capacity. Since we began, Allegiant has flown more than 80 million passengers, and our transition to a streamlined fleet will allow us to continue offering increasingly reliable, convenient travel at industry-low fares to our next 80 million." "Airbus is committed to developing and producing fuel-efficient, passenger-friendly aircraft that are leaders in the evolving airline marketplace," said Bob Lekites, Executive Vice President-Customers, Airbus Americas. "Our partnership with Allegiant Air, coupled with our commitment to producing innovative aircraft, has allowed Allegiant to expand their ultra-low-cost consumer flight options. We are proud to deliver Allegiant their first Airbus aircraft manufactured in Mobile, and we look forward to providing them more aircraft that exceed customer expectations."